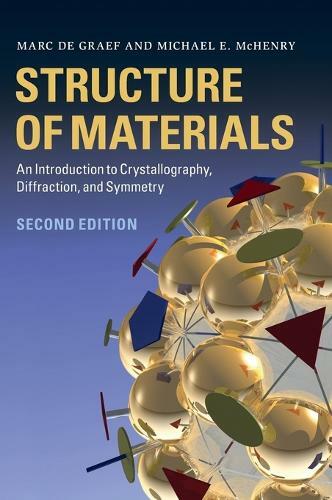 This highly readable, popular textbook for upper undergraduates and graduates comprehensively covers the fundamentals of crystallography and symmetry, applying these concepts to a large range of materials. New to this edition are more streamlined coverage of crystallography, additional coverage of magnetic point group symmetry and updated material on extraterrestrial minerals and rocks. New exercises at the end of chapters, plus over 500 additional exercises available online, allow students to check their understanding of key concepts and put into practice what they have learnt. Over 400 illustrations within the text help students visualise crystal structures and more abstract mathematical objects, supporting more difficult topics like point group symmetries. Historical and biographical sections add colour and interest by giving an insight into those who have contributed significantly to the field. Supplementary online material includes password-protected solutions, over 100 crystal structure data files, and Powerpoints of figures from the book.